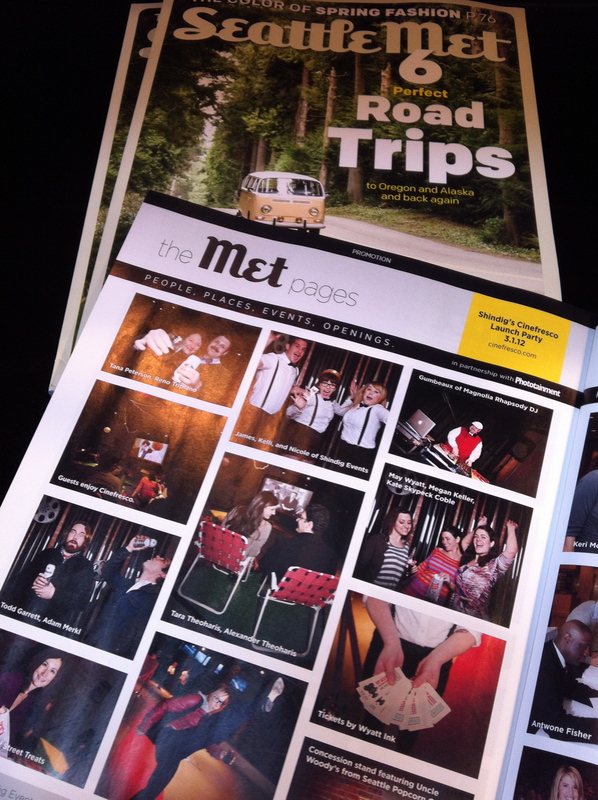 Mr. Geek and I were thrilled to find ourselves front and center in the Met pages for attending Shindig’s Cinefresco launch party. What is Cinefresco, you say? It’s a brand new outdoor-movie party that comes to you! You can’t go wrong with popcorn, drinks, a photo booth, lawn chairs, vintage blankets and an old-timey movie. Check it all out at www.cinefresco.com. Looking for a quirky, lovely company to throw you the best bash ever? Make sure you take a look at all of Shindig’s offerings here. Woohoo! Congrats on your new fame. Glad we can make that happen for you! Cheers!